Members of the Business Honor Society at New Hyde Park Memorial High School used their spring break vacation to help others. On April 2, seven students spent the day at the Mary Brennan INN soup kitchen in Hempstead, New York. The students helped prepare and sort food to serve the organization’s 300 daily visitors and sorted through clothing and donations. 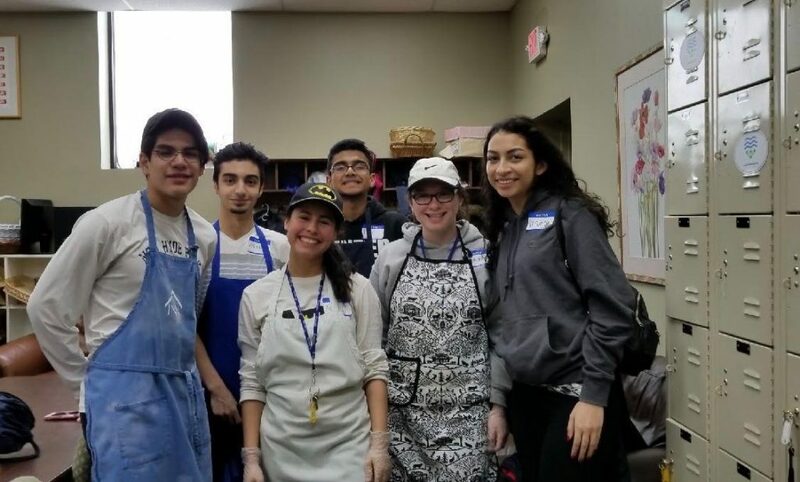 Photo Caption: New Hyde Park Memorial High School Business Honor Society members volunteered at Mary Brennan INN during spring break.